Hello, fair friends! Remember when I went to Egypt and saw all of the beautiful hand-tied rugs? In that post, I introduced you to GoodWeave, a non-profit that works to end child labor in the rug industry and provide education to children in weaving communities in India, Nepal and Afghanistan. To celebrate the grand opening of their new Manhattan showroom, Michael Mandapati of GoodWeave partner Warp & Weft is generously offering Creeks in copper (pictured above). The 8’ x 10’ prize rug is made of 100% hand-carded and hand-spun Himalayan wool, hand-knotted in Nepal. 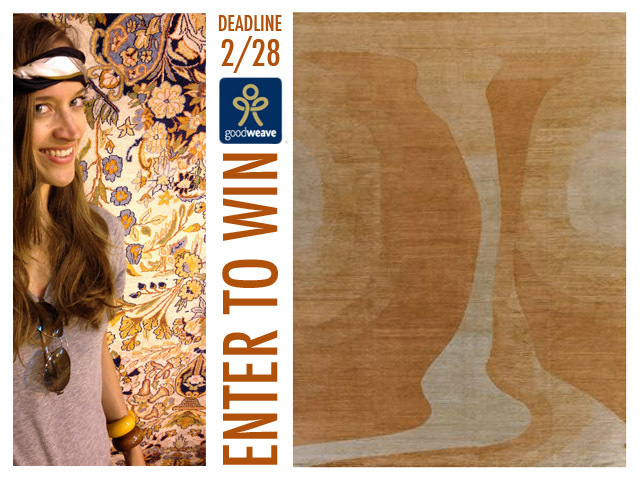 Warp & Weft will raffle off this rug from their award-winning collection to one lucky GoodWeave supporter in February. Enter to win at www.goodweave.org/raffle by February 28. I absolutely love the subdued, sandy colors of this rug, which remind me so much of the time I spent in Cairo last year, ogling sphixes and pyramids. Creeks would normally retail for $10,800, but it could be yours for a raffle ticket starting at a $25 donation, and all proceeds will benefit GoodWeave’s work. Sounds pretty fair to me, and I'm definitely going to enter. Good luck! 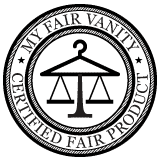 Psst... Like Fair Vanity? 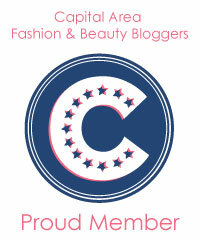 Follow me @fairvanitydc!